I have received this from Stuart Bland, one of the new PCSO’s in our SNT ( Safer Neighbourhoods Team). 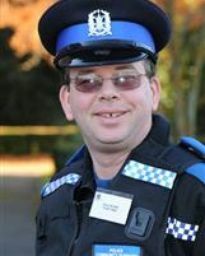 I am one of the PCSO’s on the local safer neighbourhood team, and I am writing to introduce myself and also to make you aware of a project I am undertaking following a spate of reported thefts from motor vehicles. Please could you help me to publish crime prevention advice regarding it. South of Butser neighbourhood team would like to make residents aware of our most recent crime trend. There has been a spate of thefts from rural car parks and lay-bys, increasingly as the weather has improved and more of us are choosing to visit the countryside. The thefts tend to happen at car parks which are located at parks and beauty spots; Finchdean, Butser Hill, Peel Park and Havant Thicket would be examples of this. Owners are away from vehicles, typically walking a dog, with their valuables often left in the vehicle, thieves then target these belongings. Leave the glove box open to show there’s nothing inside. Record the details of your property on the Immobilise website. More information about alarms can be found on the Thatcham and Sold Secure websites. Try to park in sign-posted parking areas. Be cautious about parking your car in isolation. Thieves can be put off when other people are around. Do not leave anything in your vehicle. A jacket or coat left behind may be of very little value to you, but a thief may think it has been used to hide a laptop or handbag and will break into your vehicle to find out. Take items with you rather than locking them in the boot, you can not be sure who has seen you. Before you leave home, think about what you need and leave any unnecessary items of value at home. Make sure you do not leave documents which have your personal details on in your vehicle. Remember to shut all windows and sunroofs and lock all doors. Activate the alarm and immobiliser. Make use of any security products you might have such as steering locks. Whilst enjoying the sights make sure you keep your bag and possessions with you. Also if you are at a park or beauty spot and you see something suspicious please phone 101 or if you witness a crime being committed 999. One recent report at Staunton Country Park described two males on push bikes who were seen to smash a vehicle window. Suspicious activity could include looking into vehicles, trying door handles, looking under vehicles (this could be preparation for stealing catalytic converters), or distractions such as people asking for directions. We are looking with the support of partner agencies to tackle specific car parks in the area with posters, leaflets and police patrols.